Knoxville, TN – No. 13/13 Tennessee Lady Vols Basketball (12-3, 1-2 SEC) faces back-to-back road games in a five-day span, beginning with a Sunday matinee at Georgia (11-5, 2-1 SEC) on Jan. 13th. 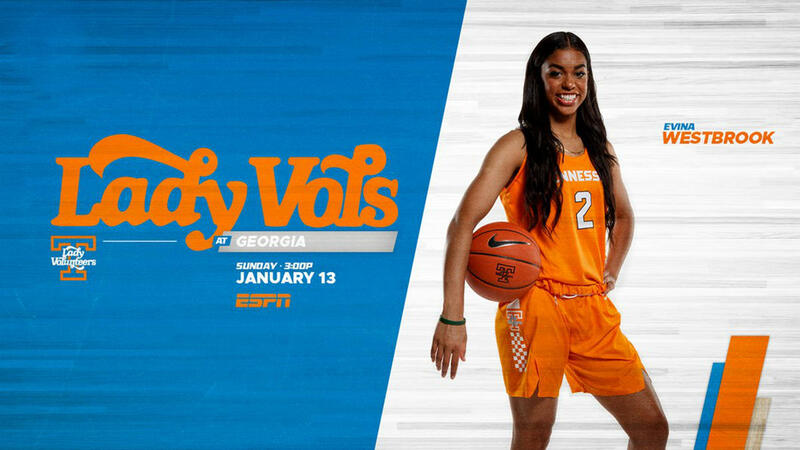 Tip-off is slated for 2:02pmCT at Stegeman Coliseum in Athens, with the game being carried by ESPN, the Lady Vol Radio Network and SiriusXM. 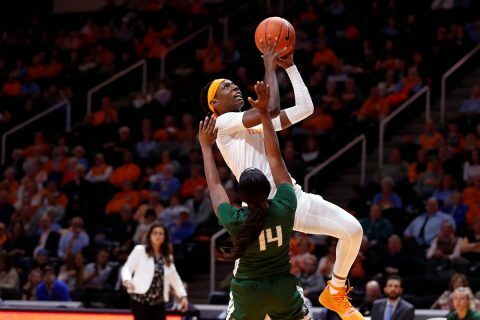 This marks the 68th meeting between these programs in a series that ranks behind only UT-Vanderbilt (80 games) for most times played by Big Orange women’s hoops. The Lady Vols will try to respond in positive fashion from back-to-back home losses to Missouri (66-64) and #16/16 Kentucky (73-71). Austin, TX – Senior Meme Jackson logged a career-high 33 points to lift the No. 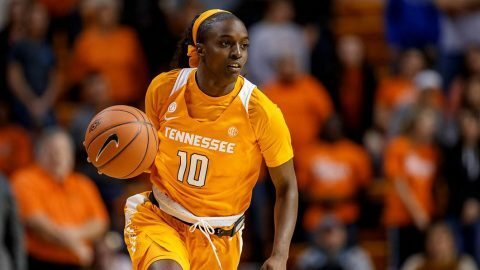 9/9 Tennessee Lady Vols basketball team to an 88-82 victory over No. 12/12 Texas in the Frank Erwin Center on Sunday. Sophomore Evina Westbrook posted 23 points for her third straight 20+ point performance. Cheridene Green was also in double figures for Tennessee (8-0), adding 10 points and six rebounds. Texas (7-2) was led in scoring by Audrey Warren with 21 points. Danni Williams, Destiny Littleton and Sug Sutton were also in double digits for the Longhorns with 14, 13 and 11, respectively. Austin, TX – Two Austin Peay State University women’s tennis players are among the 45 student-athletes across all of Division I to be named to the 2018 Google Cloud Academic All-America® Division I At-Large Teams, announced Thursday. 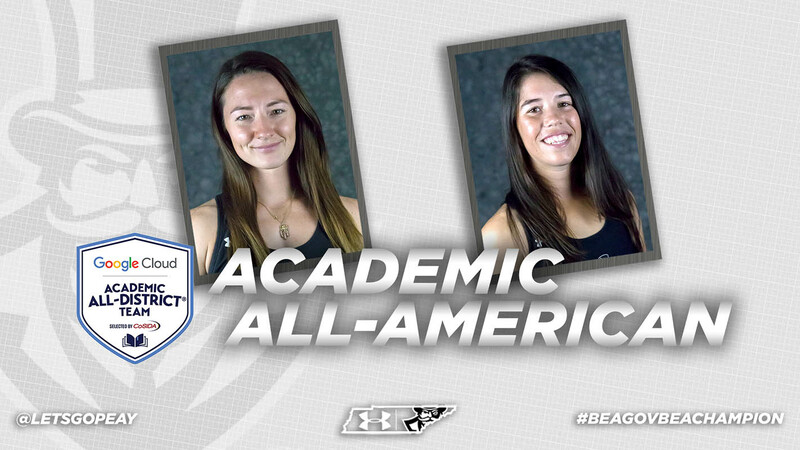 Clarksville native Brittney Covington and Spanish sensation Lidia Yanes Garcia are the second and third Governors to earn Academic All-American honors for the 2017-18 academic year, joining volleyball standout Kristen Stucker. Austin, TX – Austin Peay State University junior setter Kristen Stucker is one of 21 student-athletes named to the 2017 Academic All-America® Division I volleyball teams as selected by the College Sports Information Directors of America (CoSIDA). 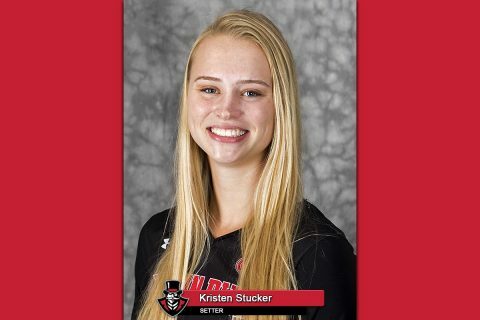 College Sports Information Directors of America names Austin Peay’s Kristen Stucker to 2017 Academic All-America® Division I volleyball teams. 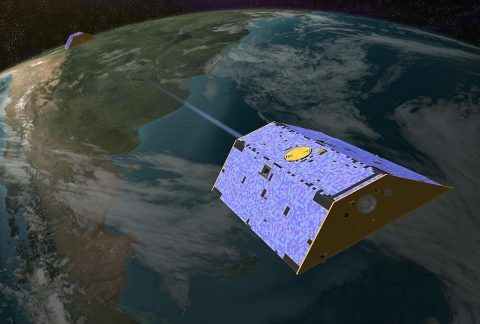 Washington, D.C. – After more than 15 productive years in orbit, the U.S./German GRACE (Gravity Recovery and Climate Experiment) satellite mission has ended science operations. During their mission, the twin GRACE satellites have provided unprecedented insights into how our planet is changing by tracking the continuous movement of liquid water, ice and the solid Earth. GRACE made science measurements by precisely measuring the distance between its twin satellites, GRACE-1 and GRACE-2, which required that both spacecraft and their instruments be fully functional. 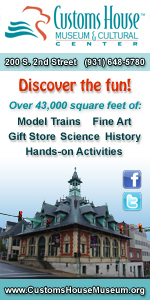 Washington, D.C. – A newly discovered Jupiter-like world is so hot, it’s being vaporized by its own star. With a dayside temperature of more than 7,800 degrees Fahrenheit (4,600 Kelvin), KELT-9b is a planet that is hotter than most stars. 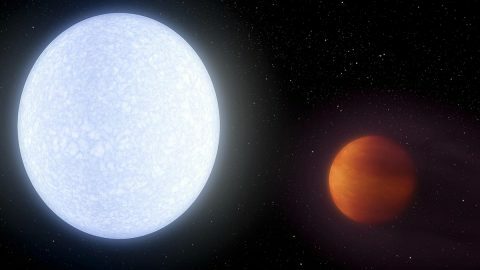 But its blue A-type star, called KELT-9, is even hotter — in fact, it is probably unraveling the planet through evaporation. “This is the hottest gas giant planet that has ever been discovered,” said Scott Gaudi, astronomy professor at The Ohio State University in Columbus, who led a study on the topic. 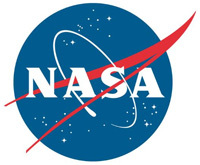 He worked on this study while on sabbatical at NASA’s Jet Propulsion Laboratory, Pasadena, California. 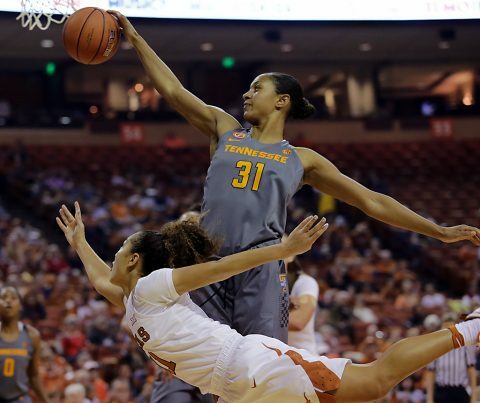 Austin, TX – Tennessee made a valiant rally after trailing by 15, but fell 72-67 against #17 Texas on Sunday afternoon at the Erwin Center. 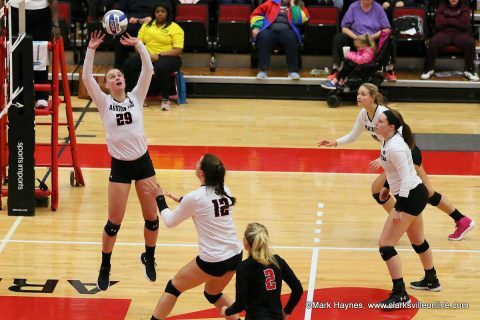 Tennessee (4-4) trailed by 15 in the second quarter, but made a run to end the period and over the first five minutes of the third quarter to take the lead. Texas was able to retake the lead, and withstood late three pointers from Alexa Middleton and Diamond DeShields to hold on to the win. Jaime Nared tallied a career high 22 points to go with five rebounds and two blocks. DeShields chipped in 16 points to score in double figures for the seventh time in eight games this year.